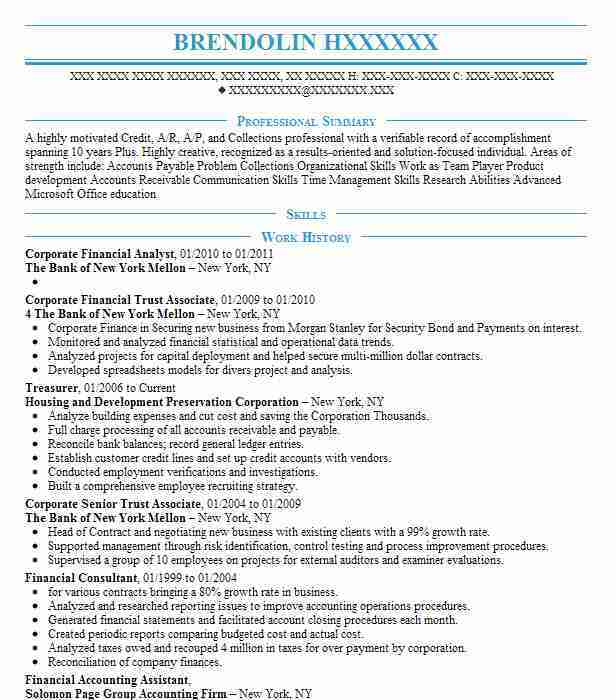 Professional Corporate Financial Analyst who has significant experience with public and private corporate reporting needs. Adept at departmental and corporate budgeting utilizing a variety of financial spreadsheet programs and developing methods for reporting data to executive team. Specializes in analyzing dynamic financial data and developing financial reports. Part of a small team responsible for complete audit of corporate annual statement prior to filing it each year. Developed revenue and expense trends for each department to be used in budgeting. Responsible for tracking all expenses and creating monthly report for executives. Identified revenue trends and utilized those trends to help develop budget forecasts. Responsible for constantly updating executive team on comprehensive financial health of the company. Worked with outside legal team on several corporate acquisitions and mergers. Helped to create computer model that forecasted revenue needs for payroll and other important functions. Developed several custom reporting methods that kept management updated on cash flow status. Responsible for working with database engineers to maintain accuracy of financial information delivered by company computer network. There are plenty of opportunities to land a Corporate Financial Analyst job position, but it won’t just be handed to you. 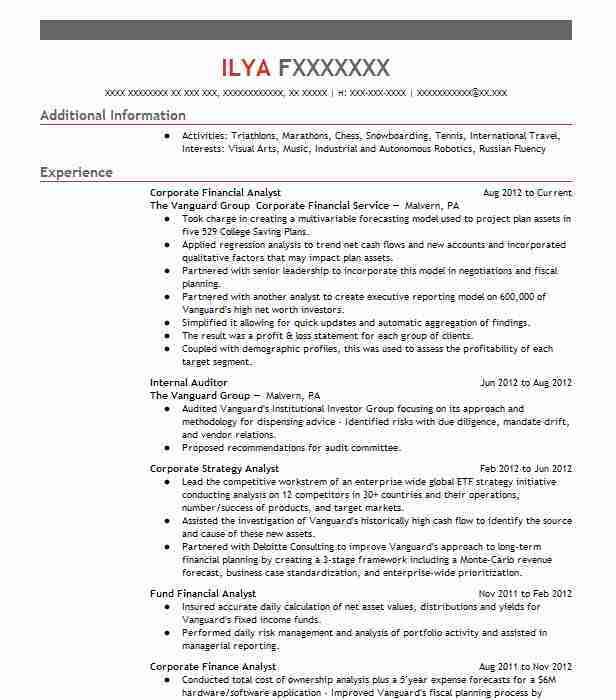 Crafting a Corporate Financial Analyst resume that catches the attention of hiring managers is paramount to getting the job, and LiveCareer is here to help you stand out from the competition.